Harbor Retirement Associates (HRA), a regional senior living development and management company based in Vero Beach, announces that President and CEO Tim Smick will transition to Chairman and Managing Partner, effective immediately. Harbor Retirement Associates (HRA), a regional senior living development and management company based in Vero Beach, announces that President and CEO Tim Smick will transition to Chairman and Managing Partner, effective immediately. In his new role, Smick will spend much of his time in new business development, strategic planning, and capital development. “I will maintain a regular presence in HRA but will take longer vacations and have more days off,” Smick said in the announcement made to HRA associates. Sarabeth Hanson, previously Chief Operating Officer with HRA, has been named new President and CEO. 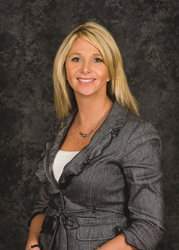 Hanson brings 25 years of senior living experience to her new role. Shortly after commencing her college education at Central Connecticut State University, she found that her calling was serving seniors. In doing so, she has established a track record of success. She is active on the Executive Board of ASHA and Florida Argentum. She has presented at NIC, ASHA, InterFace Conference Group and Argentum. HRA recently celebrated their 15th anniversary as a company and is currently operating 29 communities in 7 states, with more under development. HarborChase communities focus on serving seniors through providing choice and award-winning hospitality. Accredited Chefs prepare seasonal, farm-to-table Chef’s Fare selections daily, “Best Days” are created by our passionate life enrichment teams, and our highly trained professional care partners deliver resident-focused care. Harbor Retirement Associates (“HRA”) is a regional senior living development and management company, focused primarily on Assisted Living and Memory Care communities, but also engaged in the development and operations of Independent Living and Skilled Nursing communities. HRA operates 29 communities in 7 states and is partnering on the construction of 8 more communities in 7 additional states. HRA manages over $150 million in revenue and approximately $1 billion in assets while employing 2,000 associates. For more information, visit http://www.HRAseniorliving.com.